So intriguing has been the darkness and so intensely fraught the political ambience that Maduro has hardly been seen or heard since the lights went out. It is a radically different power outage, one that the incumbent leftist President of Venezuela, Nicolas Maduro, has dubbed as an “electrical war” waged by Donald Trump’s United States of America, verily an “aggression designed to destabilise” the country. On closer reflection, intense political destabilisation has plagued the country for the past few weeks; in the midst of the contrived darkness, indeed the worst power failure in the country’s history, embattled Venezuela is now groping to find its moorings. Mr Trump will scarcely be able to shore up his foreign policy if the blackout is contrived, the outcome of a US attack as the defence minister has claimed. 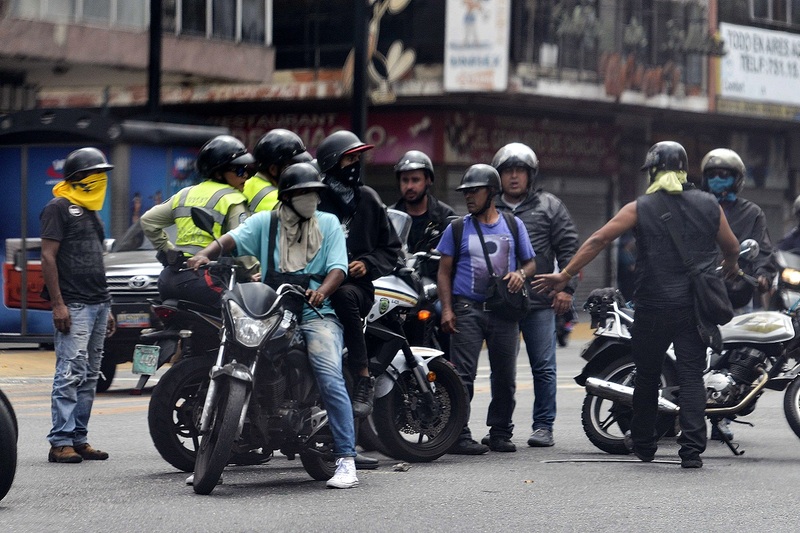 The waters of the turbulent Latin American country are now decidedly murkier with the presidential palace in Caracas claiming that the “North American empire” was behind a “criminal aggression” designed to “disrupt and attack” Maduro’s beleaguered administration. Despite the seemingly bright prospects of the Opposition leader, Juan Guaido, a change of guard is unlikely anytime soon in a direly fractious land. The power outage symbolises Latin America’s area of darkness, a perverse plan to overthrow Maduro. Hugo Chávez’s political heir is facing a battle to retain power after Guaidó had on 23 January declared himself as Venezuela’s rightful interim leader and was recognized by most western governments, including the United States and Britain. So intriguing has been the darkness and so intensely fraught the political ambience that Maduro has hardly been seen or heard since the lights went out. In two tweets, however, he has blamed the US for the crisis and vowed: “We will prevail!” In contrast and despite the darkness, Guaidó appeared at a rally in Caracas where he urged his supporters to return to the streets for fresh protests and claimed they were “very, very close” to forcing Maduro from power. Venezuela will have to countenance the human cost of the blackout and its potential to further unsettle the crisis-stricken country and its torpid economy. By any reckoning, the country is on a powder-keg and Maduro’s survival affords a deceptive sense of stability. Fears that a prolonged blackout, ostensibly caused by an attack on the Guri dam, could ignite widespread dissent are dangerously real. Rightwing activists are alleged to have committed “sabotage” to the dam’s system of generation and distribution. The agitprop has suited the Left perfectly. With the country reeling on account of relentless political turmoil, Maduro appears to have adopted a scorched earth policy to cling onto power. The White House strategy, albeit executed by Maduro, could turn out to be counter-productive. Venezuela’s infrastructure is in a shambles, and the United States has taken an aggressive posture towards Maduro, one that is bound to fuel conspiracy theories. All in all, it is a lethal cocktail of political turbulence and the stage-managed collapse of an essential service.